Members of a fly-in for the outdoor recreation industry joined Gov. Bill Walker as he signed the proclamation designating June as Great Outdoors Month. National Trails Day, always the first Saturday in June, will be celebrated n Valdez with a trails open house. Pictured, from left, are Cailin-O-Brien Feeney, Outdoor Industry Association; Thor Stacey, Alaska Professional Guides Association; Lee Hart, Valdez Adventure Alliance/Confluence; Gov. Bill Walker; Dan Blanchard, UnCruise Adventures; and EJ Reiser, The North Face. VALDEZ, AK - The Valdez Adventure Alliance will observe National Trails Day with an open house to attract public comment on the draft Master Trails Plan being developed in conjunction with a grant from the National Park Service Rivers, Trails and Conservation Assistance program. Hikers, bikers, snowmachine, off-road vehicle and other trail enthusiasts are invited to drop in to a Trails Open House that will be held Saturday, June 2, from 4 - 5 p.m. at the Roadside Potatohead, 255 Chitina Ave., on the harborfront in Valdez. Those who provide comments or share .gpx files of local trails will be thanked with their choice of a beer or soft drink and snacks. Copies of the draft Master Trails Plan will be available at “The Potato” and are also available for preview by clicking on this link. Trails on local, state and federal lands from town to 50-mile are identified in the draft plan. Surveys, public meetings, and ranking exercises also produced a list of 15 proposed new trails. To complete the plan, Valdez Adventure Alliance and the National Park Service are asking Valdez residents for input on the plan and to share any .gpx files they may have of the proposed new trails by emailing .gpx files to info@valdezadventure.com. Many popular map and fitness phone apps enable users to easily download .gpx files. National Trails Day, always held the first Saturday of June, is part of Great Outdoor Month a month-long celebration of the health, social and economic benefits of outdoor recreation that encourages friends and families to recreate outside. Gov. 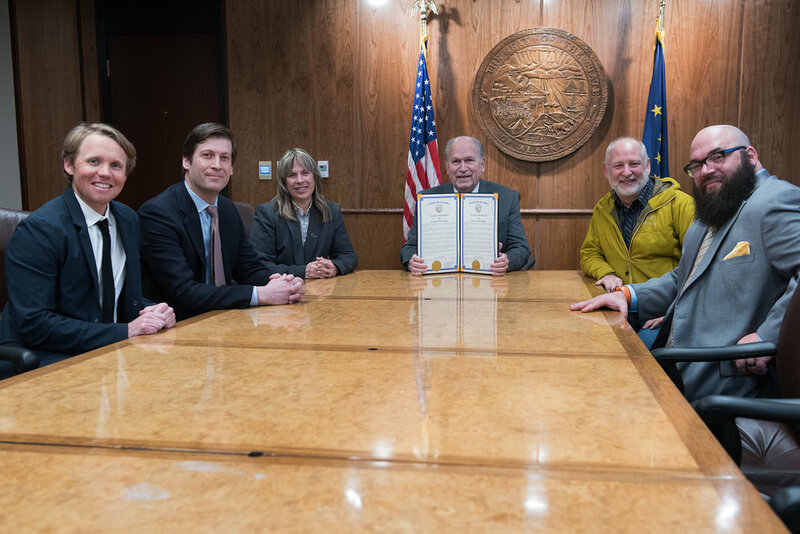 Bill Walker was among the first governors in the country this year to sign a Great Outdoors Month proclamation recognizing the “uniquely abundant outdoor recreation opportunities” and subsistence traditions Alaskans enjoy. VAA also hopes to share the draft plan with the Valdez Parks and Recreation Commission at its June 12 meeting. For further information about the Trails Master Plan and Open House, contact Valdez Adventure Alliance Executive Director Lee Hart at info@valdezadventure.com. Valdez Adventure Alliance (the new name for Levitation 49) has an immediate opening for an Events Manager for Valdez Ice Climbing Fest, Chugach Fat Bike Bash and Valdez Rock & Flow Fest. Interested applicants can clic this link to read the job description; letters of interest and resumes should be emailed to info@valdezadventure.com. The position will remain open until filled. Brush trimming is part of the job for Levitation 49 summer paid and volunteer trail and grounds crews. The organization is also looking to hire a campground host for Blueberry Campground and water taxi boat captains to take guests to and from Shoup Bay public use cabins. VALDEZ, AK - Gearing up for summer State Park operations, Levitation 49 is seeking a variety of positions to help operate and maintain the local state park units: Worthington Glacier and Blueberry Lake State Recreation Sites, Shoup Trail and the Shoup Bay public use cabins.By contract, the State Park units are open May 15 - September 15, weather permitting. The following positions are available for the coming season. Campground Host. The campground host provides camper relations and maintenance for this small 15-site campground on scenic Thompson Pass, 24 miles north of Valdez. Situated on the shores of a high alpine lake with sweeping views down valley toward Valdez. Blueberry Lake campground features picnic and camping sites for individuals and groups. Special Projects: Visitor contact, campground maintenance and light janitorial for vault toilets at Blueberry and nearby Worthington Glacier SRS. Season: 4 weeks minimum shift or all season, 5/15 – 9/15; weather permitting. Amenities: Monthly subsistence payment and expenses. Shoup Bay Water Taxi Service. Now accepting proposals for dedicated water taxi service to/from Valdez Small Boat Harbor to three public use cabins in Shoup Bay State Marine Park: Mcallister, Kittiwake and Moraine. User information from 2016 shows increased prospects for cabin reservations if dependable, affordable water taxi service is available. The cabins are located on the north side of Port Valdez, approximately 8.5 miles from Valdez. The park encompasses most of Shoup Bay and the southern half of Shoup Lake, also called the inner lagoon. There is an underwater moraine that stretches across the mouth of the bay and creates shallow shoals off the spit and on the opposite western side. The bay is connected to the tidally influenced lake by a shallow river that flows either way, depending on the tide. Ice from Shoup Glacier calves into the lake. Applicants should provide a detailed proposal including daily shuttle schedule, proposed fees and any value-adds, e.g. occasional cabin maintenance, kayak or SUP rentals to guests, or your ideas. Successful applicant will keeps all fees for water taxi service and/or rental gear; L49 keeps 100 percent cabin rental fees. Minimum six-pack captain’s license and proof of insurance are mandatory. Trail and Grounds Crew. L49 is seeking general and lead trail crew position for the 2017 season. Trail work includes constructing and maintaining trails using both traditional hand tools (rakes, shovels, Pulaskis, etc.) and mechanized equipment (brushers, chain saws, etc.) as well as other tools necessary for trail projects. Trail work provides an exciting opportunity to work outdoors as part of a team to accomplish trail projects that facilitate the access and enjoyment of public trails and State Parks grounds. The work can be both physically and mentally demanding, but ultimately very rewarding. Minimum age 18; jobs require ability to perform physical labor for extended periods in frequently adverse weather conditions, push, pull, and lift heavy objects as well as walk long distances over rugged terrain. Pay ranges from $15/hr to $20+/hour based on experience. All positions are considered contract labor; no benefits are paid. Pay is negotiable, based on experience. As a permittee of the State of Alaska, Levitation 49 complies with Title I of the Americans with Disabilities Act (ADA). Levitation 49 is an equal opportunity employer. For more info visit the website, Levitation49.org. Interested applicants should send a cover letter and resume with proof of relevant experience to jobs@levitation49.org. 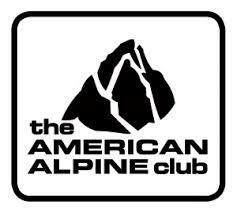 What Does the Outdoor Industry Mean to AK? In this New Year's Day story, Alaska Dispatch News reporter Annie Zak asks state leaders what the outdoor industry means to Alaska. Our friends at Alaska Public Media helped get the word out about Levitation 49's new role as stewards of the five state park units in the Valdez area. Click this link to listen to the story. Cabins at Shoup Bay State Marine Park are among the five state park units now being managed and maintained by Levitation 49. A growing trend of state's recognizing the value of the outdoors and outdoor recreation inspired Levitation 49 to host a statewide conference next month that will explore possibilities in Alaska. Confluence: Summit on the Outdoors will be held June 3 at Alaska Pacific University in Anchorage. The one-day event seeks to assess and explore the political will to provide a louder more consistent voice for the economics of the outdoors. Recommended reading for all Confluence attendees, and others who can't be there in person, include a white paper from the Outdoor Industry Association and an industry report on the quickening pace of state-level outdoor advocacy published by SNEWS, a leading media outlet for the outdoor trade. Levitation 49 has been making waves in the local media. Check out these stories from our friends at Alaska Dispatch News and KTUU-TV2. Backpacker magazine, April 2016, Is the Trans-Alaska Trail America's Next Great Long Trail? Alaska Dispatch News, Feb. 16, 2016: Does Valdez Ice Climbing Festival Signal Renaissance for an Outdoorsy Alaska Town? Levitation 49, hosts of the regional Fat Bike Summit in Valdez, March 18, have re-located the venue in order to be able to make the event free of charge. The new venue for the Summit is The Fat Mermaid restaurant on the harbor in downtown Valdez. There will be no fee to attend the event but participants are still asked to register for a free ticket online. "Alaska being the birthplace and capital of fat biking means we are expecting a very lively and engaging session," said Levitation 49 Executive Director Lee Hart. "We didn't want price to be a hurdle in to participation." The Summit will be led by Mountain Bike Hall of Famer, Gary Sjoquist, who is arguably among the leading voices of fat bike advocacy. From 9 .m. to approximately 5 p.m., Summit participants will share information on trends, best practices, user conflict mitigation, advocacy and more. 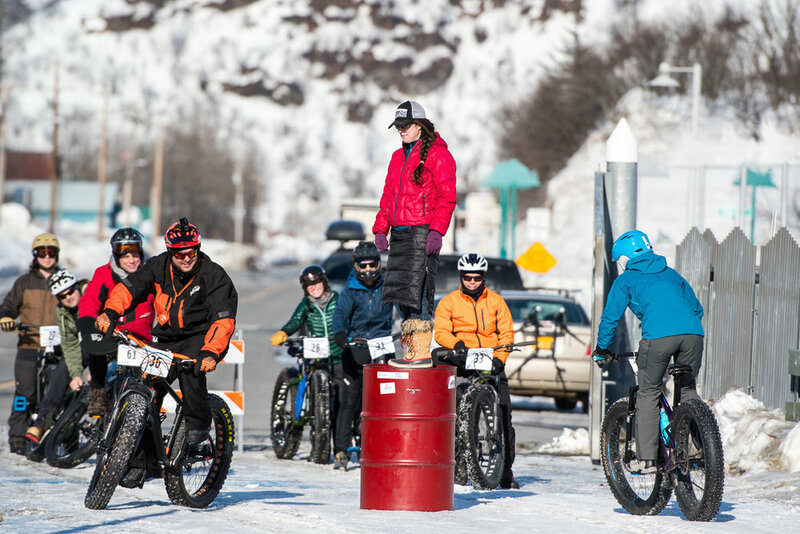 The Summit immediately precedes the opening night of the Chugach Fat Bike Bash, a three-day festival by and for fat bike enthusiasts in the beautiful port town of Valdez.